The practice of city marketing, like destination marketing, is undergoing significant changes. In their book titled Städte als Marken: Herausforderungen und Horizonte (Cities as Brands: Challenges and Future Scenarios), Thorsten Kausch, Peter Pirck and Peter Strahlendorf offer insights into how and why city marketing is changing. The book includes many examples and contributions from city marketers in Germany and across Europe. City marketers traditionally were urged to cater to as many topics and city stakeholders as possible, while at the same time they were encouraged to reach out to as many markets and target audiences as the available budget would allow. The result was a lot of content and communication about many different aspects, which led to blurry city brands with no clear focus. Over the last years, this practice has been replaced by strategic city branding, where city marketers focus on a few topics and messages, which then dominate city marketing and communications activities over a longer term. Such a focus on less actors and more specific target audiences not only benefits the often very limited city marketing budgets, but helps to – at least – gain awareness and recognition for a few topics or areas which a city dominates well. The French city of Lyon is a good example of how cities can successfully position themselves internationally by having city marketing, tourism and economic development departments all follow one overall vision and brand strategy. The need to bring all stakeholders together and to find ways to make sure messages align with the broader picture is not new, but is particularly important for strategic city branding. The book also stresses to not mistake such a city brand strategy and objective with a city’s political vision. Unlike the latter, city brands don’t change with governments (if they do, failure is certain). A key premise of strategic place branding is that it starts with placemaking (if necessary), and as such goes way beyond “just” promoting or communicating what a city is or wants to be known for. Thorsten Kausch and Peter Pirck in their introduction to the book follow this argumentation, suggesting that city marketing and city development need to go hand in hand. The success of city marketing used to be measured by the number of brochures printed, new websites, number of events or trade fairs, growth of Facebook page fans or YouTube followers. According to the authors, this is now all changing in the sense that impact, not output, is what counts. Impact can be measured, for instance, by means of positive press coverage or engagement rate on Facebook & co., or how many new businesses have been created in or moved to the city. The times where city marketing just produced and distributed content are now over. Digitalization, social media and swindling budgets for such promotional activities are one reason, but this has also to do with the limited credibility that self-promotion and declarations of greatness have in the eyes of target audiences. Authentic stories told by users, visitors or citizens trump those produced by city marketers, whose role is thus to collect those stories, to maintain contact with potential influencers and key brand stakeholders, and to mediate between story producers and target audiences. In Germany, citizens are now involved in everything, from infrastructure developments to which topics receive priority in schools. In the context of city marketing, citizens play an important role as potential brand ambassadors, but also because they have to feel comfortable with how their place is promoted to the outside world – the brand has to preserve the city’s identity as perceived by its residents. While this applies to economic development promotion as much as tourism, the latter can pose a real challenge, especially when tourists – often lured to a city by third parties, such as hotels or tour operators – crowd city centers or residential neighborhoods. The consequences of such overcrowding, or overtourism, for residents are often far from positive. City marketers, as curators, mediators and increasingly also destination managers, now have the responsibility to ensure that residents are happy, and the book includes a case study on Barcelona, illustrating how this is done in practice. A veritable revolution is taking place in how we communicate with each other. Digital, individualized, segmented – those are some of the characteristics of our times. City marketers have been slow to adjust to those changes, and often struggle keeping up with ever new platforms and communication tools. But just because a new social media platform exists doesn’t mean it will help to reach one’s target audience, which increasingly suffers from information overload. The authors therefore suggest to be creative and brave, to try things even if it means to go against the flow. Examples are offered in the book. As a reader of The Place Brand Observer, this will sound familiar to you, and is common knowledge among strategic place branding professionals. City marketers, however, have become very used to working with slogans and logos, which originally were used for branded articles. Because cities are so much more complex than consumer goods, slogans and logos are no longer a viable way to express what a city stands for or what it can offer to potential visitors, investors, talent. Measuring the work of a city marketing which aims at outcomes, not outputs, might be more difficult, but it is essential to be able to determine whether city branding strategies are successful. Ultimately, finding ways to effectively measure city marketing 2.0 as proposed in the book (which place branding professionals refer to as strategic city branding) will be crucial to justify its existence. 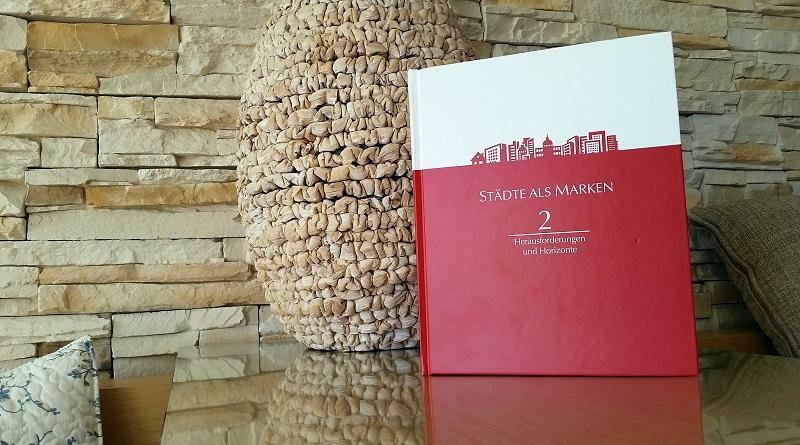 More about city marketing and strategic place branding trends, insights and detailed examples in the book (in German) titled Städte als Marken 2: Herausforderungen und Horizonte (2017, New Business Verlag Hamburg). If interested in latest thinking on the branding of cities, destinations or regions in Germany, we recommend our in-depth interviews with Petra Trimborn, Peter Pirck, Oliver Zöllner, Björn P. Jacobsen and Christof Biggeleben. Also recommended: our case studies, for example on Berlin and Hamburg. If you have specific questions about city marketing trends or strategic city branding and would like to make use of our Information Scout service, please get in touch. Enjoyed this post on 8 city marketing trends and future directions? Spread the word!